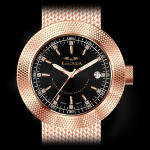 The Kalonda Rosé Gold watch is a timepiece for a subtle, but glamorous queen. She is mystical and warm, inspiring others with her touch and voice. Warm-hearted and magnificent, Rosé Gold is only for the delicate ones. The color Rosé Gold is valuable and rare, it holds a warm energy that can be reflected by the queen who wears this delicate metal. Don’t be deceived by the soft character of this metal, she who bends will not break. 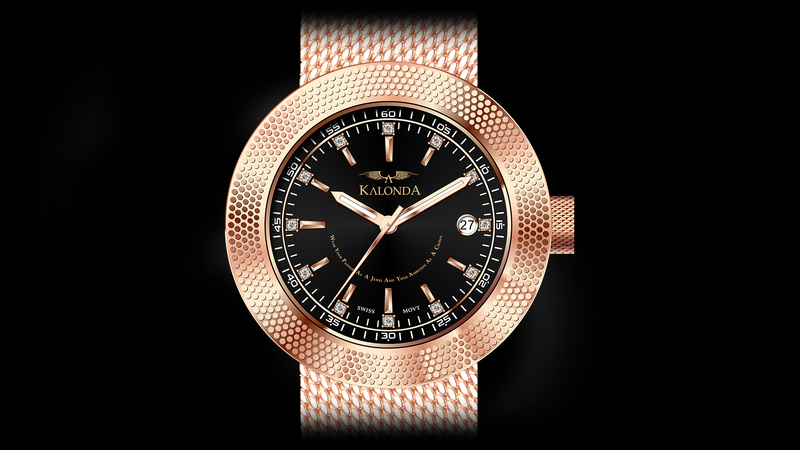 The new Kalonda Royalty Collection for her is designed with all new features, without losing the typical characteristics that make this a watch from the Kalonda Royalty Collection. 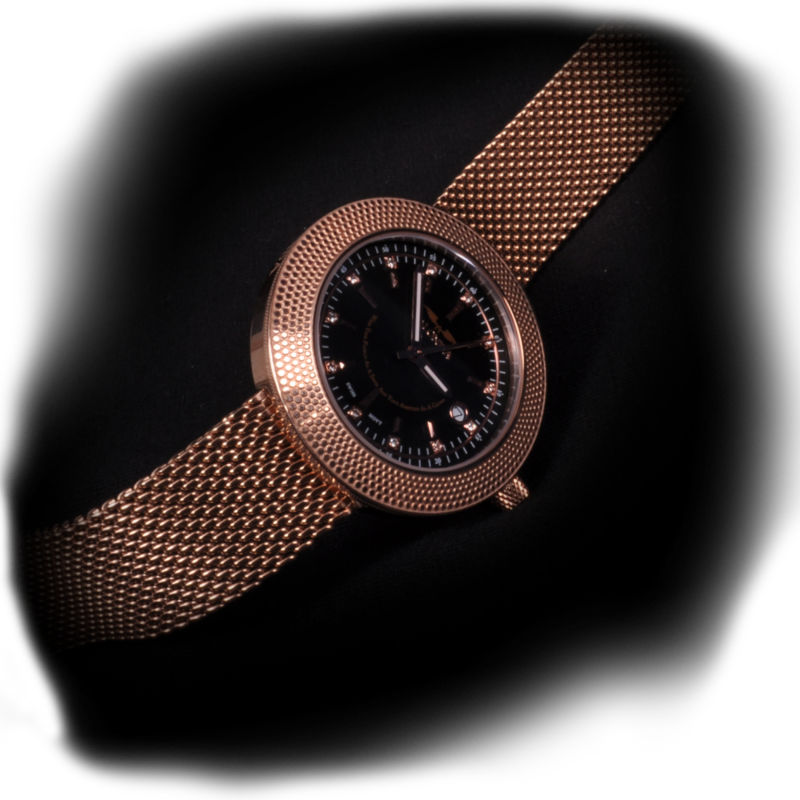 The highly detailed bezel is carried by a smaller and thinner round case. The result is that the timepiece looks and feels a lot more elegant on a smaller wrist. Even the smallest detail is important, it always is and it always matters. All tiny details together form a whole. The mesh band offers strength and versatility. Adjust our mesh band to create the perfect fit for your wrist. Kalonda only uses the The finest steel, the strongest glass and the best craftsmanship. Quality Can truly be beautiful. 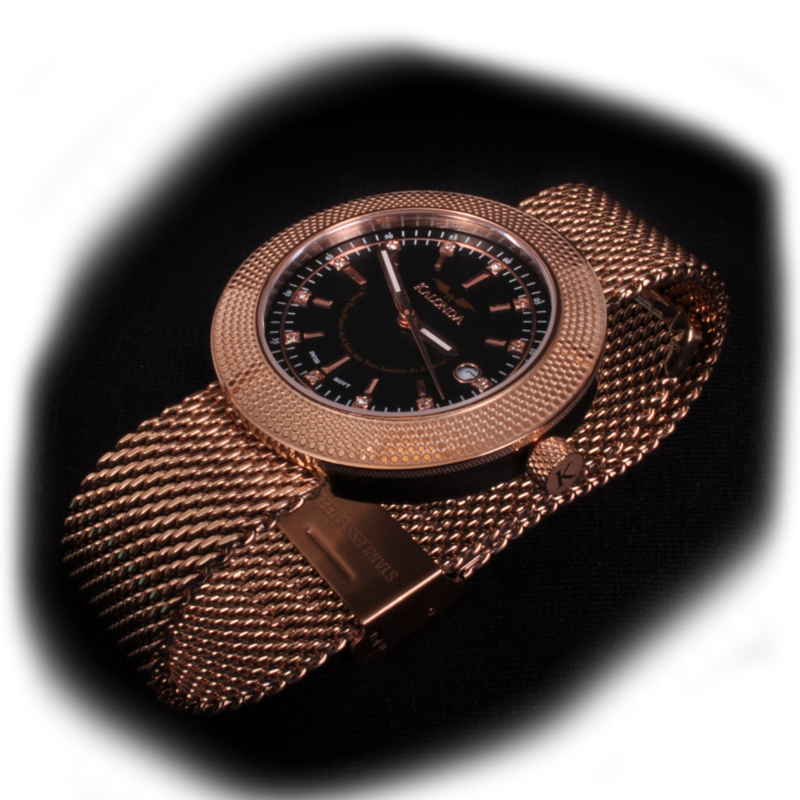 From the dial to the mesh band, detail and smart solutions are found everywhere on the Kalonda Royal Gold for her. Notice how the mesh band is fluently and beautifully merged with the case. It creates a simplistic and elegant look that reaches its full potential on a smaller wrist. Another smart solution is found in the watch hands, they are luminous, which means they light up in the dark. 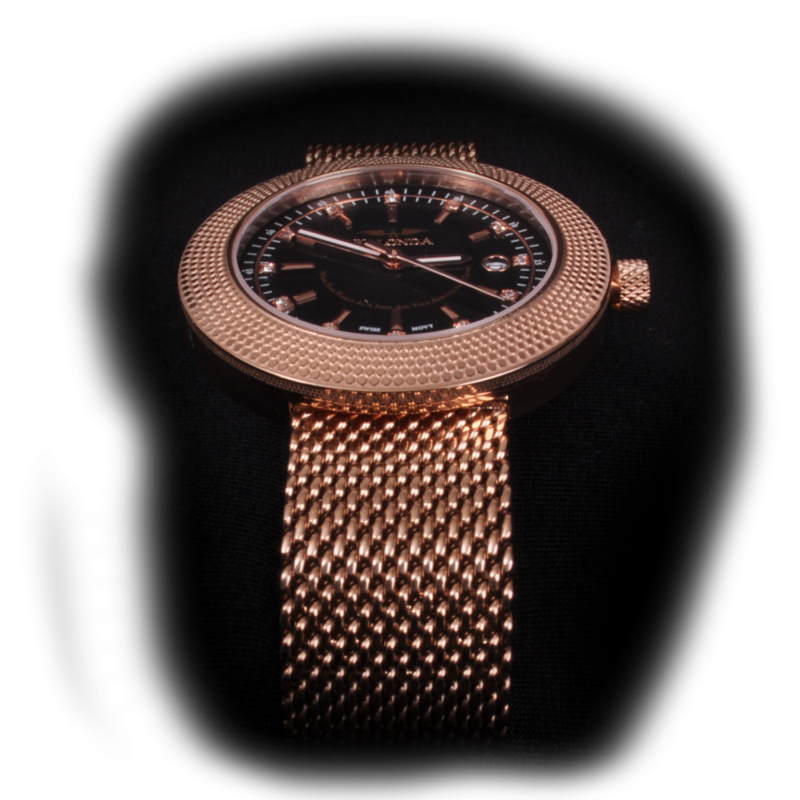 Created with Passion, Ambition and Dreams in mind, the Kalonda Rose Gold watch is equipped with an array of new visual and non-visual features. The most important, non-visual feature is the new movement. 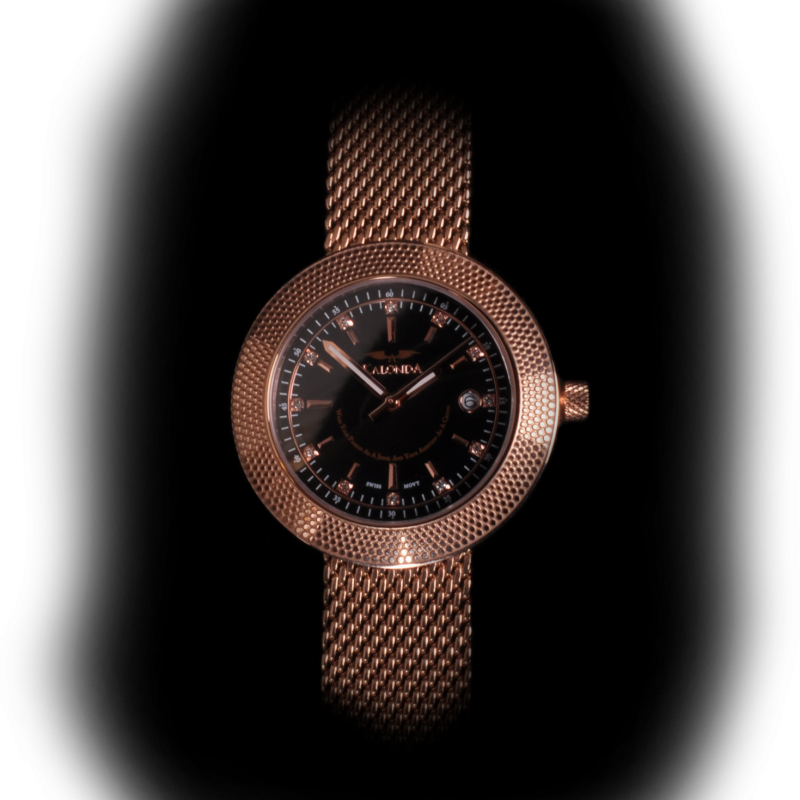 The Swiss Made Ronda movement makes sure that you will always be able to accurately keep track of the most precious gift a human being can have; Time. Craftsmanship is a very important factor in our production process. For instance, take the handmade dial. The beautiful polished markers, the Kalonda letters and the glamorous crystals are all hand-applied, requiring concentration and precision. The black and white complement each other while the gold detail finishes the look. In addition the golden detail adds a touch of royalty to the big picture. The front of the sneaker has a glossy finish that adds extravagance in detail. Combining both matte and glossy finishes in the color black, using three different materials of the highest quality standard, results in a royal looking sneaker that thrills. Every watch in the Kalonda Royalty Collection has its own unique quote. Wear your Passion and Ambition as you would wear your jewels: with pride. The case material is made from surgical grade stainless steel. The diameter of the case is 44 MM with a case thickness of 11.5 MM. The case is 5 ATM. This means the watch is waterproof and you can wear it while showering. It is also possible to wear the watch while swimming in shallow waters. The case material is made from surgical grade stainless steel. The band size is 24 MM. The clasp is attached with a hook and needs to be pressed to lock. 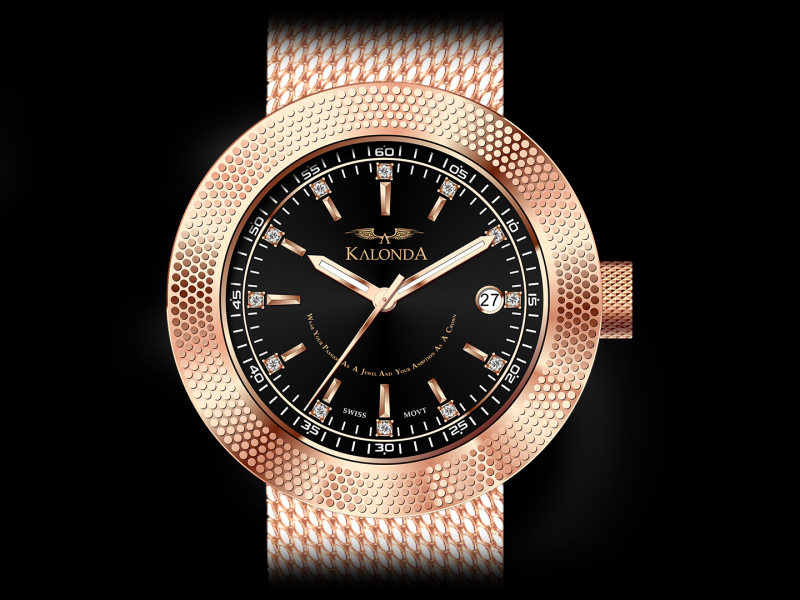 Kalonda uses a high quality Swiss Movement for very reliable and accurate time tracking. It is a Quartz Movement, which means it is driven by a battery.